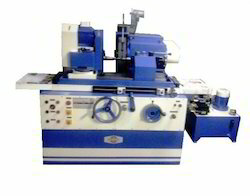 Our organization is offering Hydraulic Universal Cylindrical Grinder to our clients. These are accessible in various shapes, sizes and requirements. In addition to this, these are famous for their remarkable quality and long life. 700 CNC Universal Cylindrical Grinding with internal grinding attachment Siemens 802D contorl with movomatic. In house facility of Cylindrical grinding, Internal grinding and surface grinding. Repeated accuracy achieved on internal grinder with desire bore surface finish. 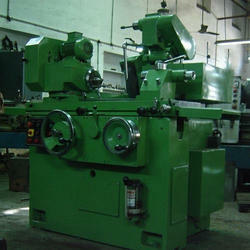 Capacity to grind 11mm bore to 180mm in 100mm length with different bore in step. Parallelism achieved on surface grinder is 0.007mm (0.0002) with desire surface finish. »: Designed for high rates of stock removal for batch production requiring fine tolerance limits with finest surface finish. »: Available in universal and production models, having infinitely variable table traverse, with a dwell and automatic infeed at table reversals. We are one of the prominent companies in this business and are engaged in presenting an enormous quality range of CNC Cylindrical Grinder SMART to our precious customers in Ahmedabad , Gujarat , India, offered this product is widely appreciated in the market.